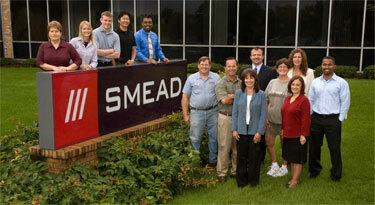 Smead Manufacturing Company was founded in Hastings, Minnesota in 1906. Charles Smead began the company with one product, The Bandless File, and six employees. Acquired by the Hoffman family in 1916, the company is now in its third generation of family ownership, and has been a woman owned business enterprise since 1955. Smead's Mission To be our customer's choice for quality and innovative document management solutions provided by a talented workforce committed to excellence. Brief Business Description Manufacturer and distributor of paper filing supplies. Products sold only through office products dealers and authorized resellers.